Suits to buy for your Wedding, Party, Prom, Royal Ascot, Racing or Business function. 20% off when you buy 5 or more. Choose from 15 different tweed colours available from immediate stock in men’s & boys sizes. 20% off when you buy or hire 5 or more suits. Slim & classic fit wedding suit hire for men & boys. Browse the range using the outfit builder. Early collection or delivery of your outfits. Friendly, no obligation expert advice at our Bristol branch. Need suit hire in a hurry? Instant hire or Buy dinner suits, tuxedos, morning tails & more at the Bristol Shop. Complete Highland outfit Hire from £97 Large range of highland wear & accessories to buy. 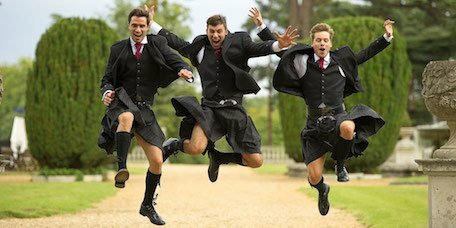 Buy & Hire: Made-to-measure or ready-to-wear suits, kilts, waistcoats, shirts, shoes & formal-wear accessories, for your Wedding, Prom, Party or Royal Ascot. We’re here to help & advise you with our award-winning customer service. 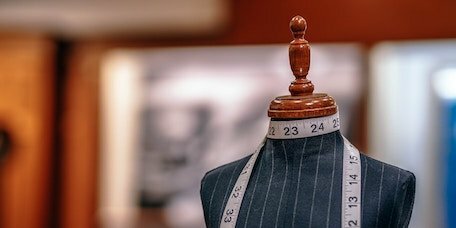 Whether it’s made-to-measure, off-the-peg or hire wear you’re interested in. We’re here to help and advise you on all the latest trends in men’s formal wear for your upcoming wedding or function, We look forward to serving you soon with our award-winning service. Jayne, Sam & the team. Weddings, highland-wear, Royal Ascot or Evening Suits available to hire. Same day service available. 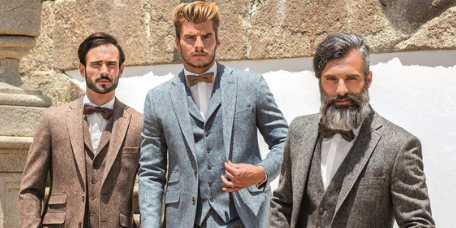 Buy ready to wear suits including a large range of tweed in all the latest colours & styles available stock service. Choose from a wide range of fabrics in your preferred style with advanced personalisation. The South-West’s leading highlandwear specialist and kilt maker. Choose from hundreds of tartans, jackets, waistcoats and accessories. Thanks for getting us perfectly fitted suits for our wedding day, they all looked great on the day. Awesome service, highly recommended. Just wanted to say a MASSIVE thanks for all your help with the wedding suit hire, nothing was too much trouble, all the suits looked amazing on the day, total stress free, excellent service, would definately recommend you to friends and family. I’ve voted for you. I gave you top marks throughout as I felt your service and the quality of the product was outstanding. I wish you and your excellent business all the best for the future. Thank you for all your help with the men’s suits, I will definitely recommend you to my friends. All the men looked so smart and handsome, and the suits were a great fit. You were so friendly and helpful. Thanks again. Sign up for 10% discount on your first in store purchase. Plus: The top questions you should be asking when shopping around for hire wear.